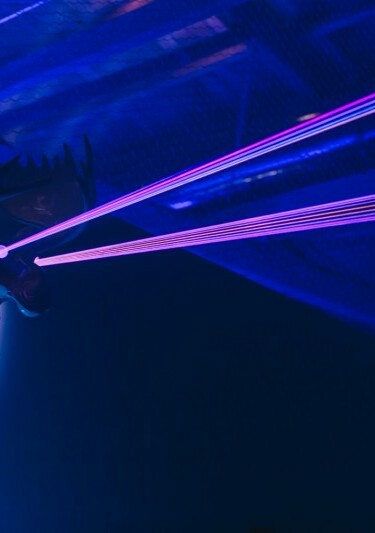 Mondrian Moose is an interactive LED dance floor that triggers lasers out of a moose’s eyes. Inspired by Piet Mondrian and created for a 2015 Absolut Electrik ‘House Party’ in Los Angeles, CA, the floor was installed in a living room and revealed in stages, sparking the energy of the party. First, low smoke unexpectedly drops from a fireplace and rolls across the living room floor. The smoke builds till it is knee deep over the Mondrian carpet. People gather into the living room as the low smoke spreads throughout the party. Next, sparkles of light appear below the fog–the Mondrian carpet comes to life. Sparkles of light increase to become lines which track and chase the people above. The carpet is now a dance floor of playful light. As the DJ increases the beat, the dance floor fills and LED lines increase in intensity. The music drops, pulses of light leave the carpet, climb the wall, and travel across the room. Suddenly, a sneaky ceramic fox on the bookshelf behind the DJ begins to emit smoke. Pulses increase in speed from the center of the carpet and track towards a large moose. 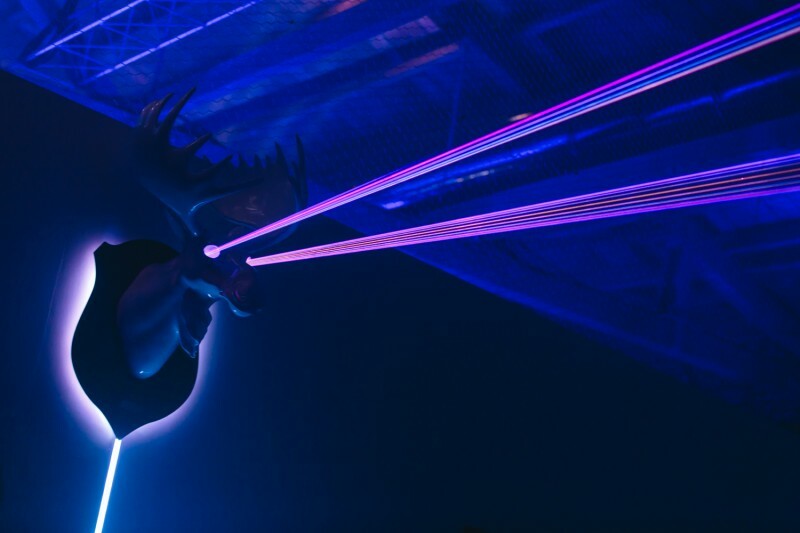 Finally, as the light hits the moose its wooden mount strobes and suddenly lasers shoot from its eyes across the room and refract off mirrors filling the space. The laser moose and Mondrian floor pulse in sync with the DJ. Throughout the night guests are given the opportunity to control the LEDs and laser from a custom ipad app. In collaboration with Future Wife.